- BCS Real Estate Services, Inc.
A Career in Real Estate with BCS Real Estate Services, Inc.
It’s a fact that the more you can offer a potential client, the more likely you are to get their business, retain their business and benefit from their referrals. 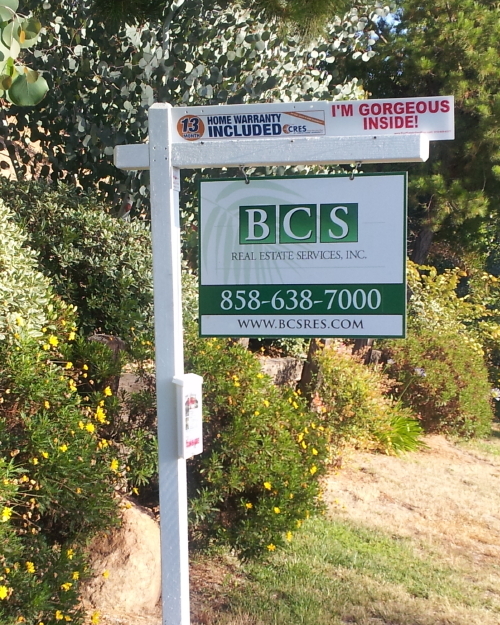 As a BCS Real Estate Services associate, you have a competitive edge over your competition. We’re a full service real estate company and mortgage broker. In addition to having a broker with 40 years experience in the San Diego real estate market, you will also have access to Brian Buffini’s world class business training course, Peak Producers. We can also train you in loan origination, and when you help your client finance the purchase of their home, you’re providing a more complete set of real estate services, setting you apart from your competition while better controlling the quality of service your client receives. Additionally, when the market interest rates become more favorable, you can assist your clients with a refinance, many times saving them hundreds of dollars a month. Sell more real estate by utilizing the latest technology and support systems. Use web based transaction management platform. Use Calyx Point loan origination software and on-line loan application to pre-approve your buyers. Pull credit reports with access to powerful credit analysis and repair tools. Correct errors on credit reports and quickly restore credit scores with Rapid Rescore so that they get the best interest rate possible. We’re a small company with a family atmosphere such that every one of our agent’s success truly matters. New licensee or experienced pro, you can grow with us – see today how BCS Real Estate Services, Inc. and YOU can be an excellent match!